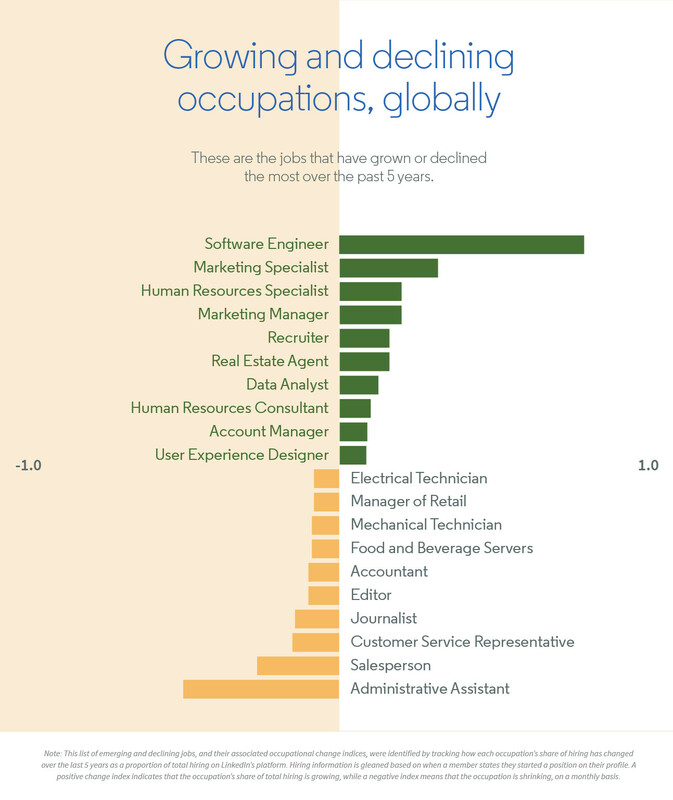 Our analysis uncovered two trends: the rise of tech jobs and skills, and a growth in “human-centric” jobs and skills. 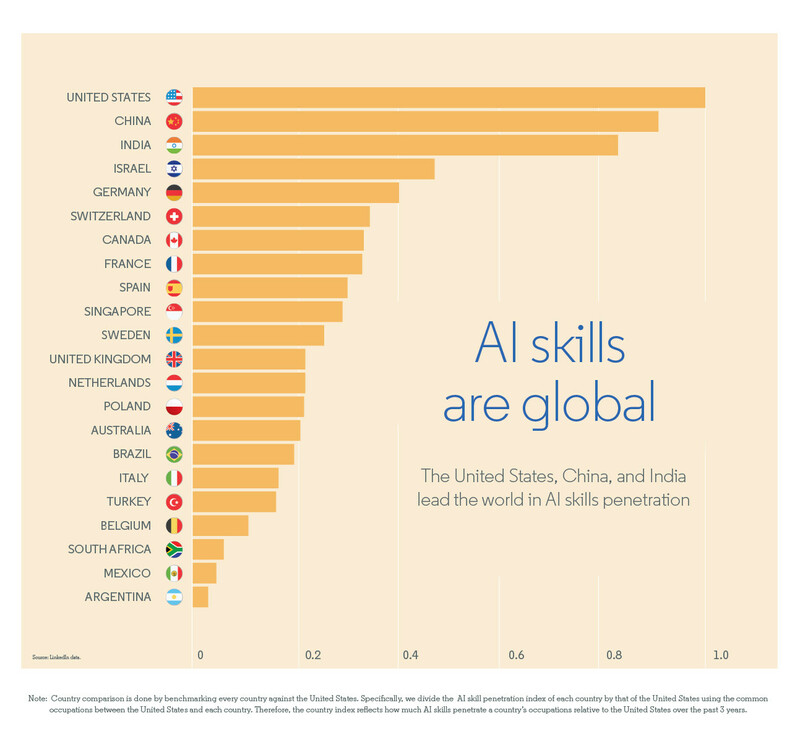 AI skills are among the fastest-growing, and saw a 190% increase from 2015 to 2017. 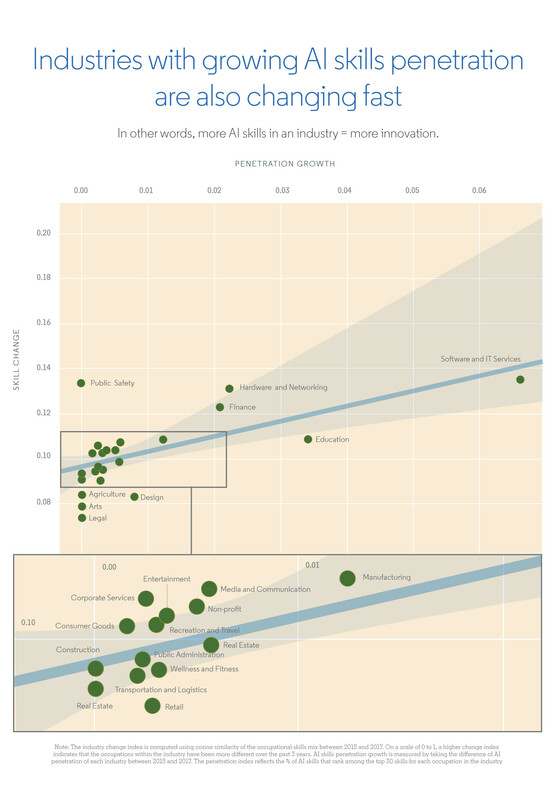 Industries with more AI skills among their workforce are the fastest-changing industries. 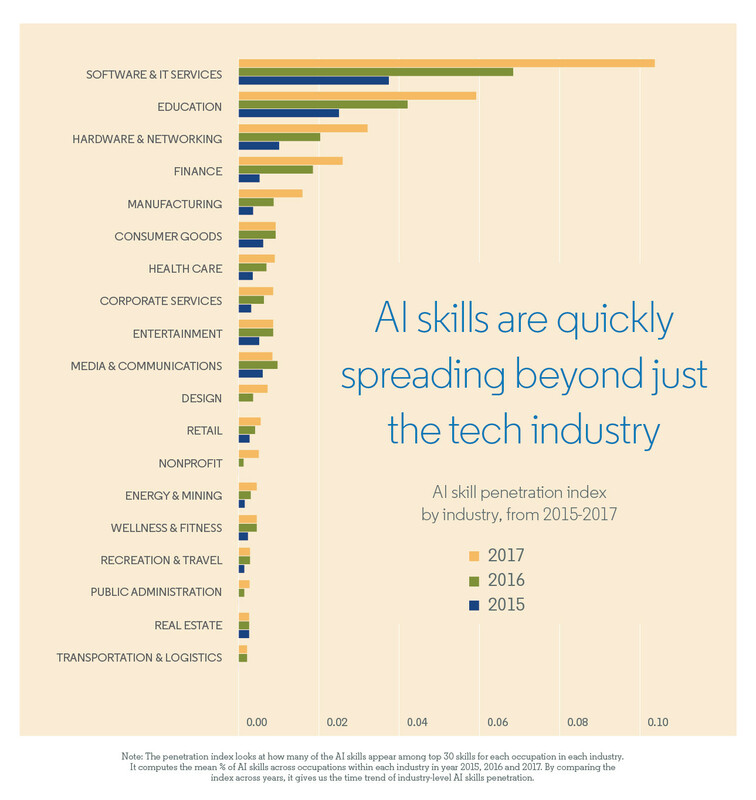 While AI is unlikely to replace human workers, uncertainty remains regarding what types of jobs will be created, how permanent they will be, and what kind of training they require. Preparing for these changes will depend on a data-driven approach to understanding the trends and investing in lifelong learning.